Product categories of Digital Printing Film, we are specialized manufacturers from China, Digital Printing Film, PVC Self Adhesive Vinyl suppliers/factory, wholesale high-quality products of Digital Print Film R & D and manufacturing, we have the perfect after-sales service and technical support. Look forward to your cooperation! Self Adhesive Vinyl is a Polymeric vinyl with high technology and a highly cohesive acrylic pressure sensitive adhesive, which is protected with a high quality silicon release paper. Printable Self Adhesive vinyl is a kind of large format digital printing adhesive materials which is widely used in vehicle advertising, public area advertising, foam board sign etc. It consists of PVC film, glue and liner. It has good weather fastness, ink absorption, and is very easy for application. The printable inks are solvent ink, eco solvent ink and uv inks. Vasin's Advertising Materials Digital Printing Adhesive Vinyl Sticker are well-designed to meet customers' constant increasing needs. 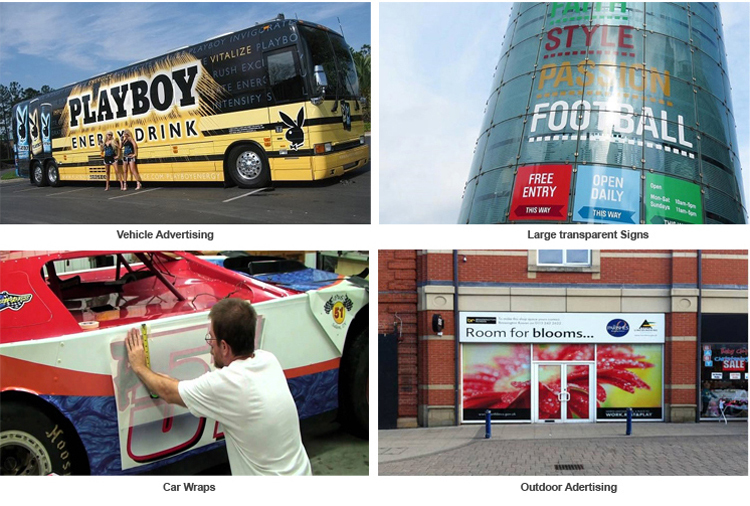 Vasin's custom Advertising Vinyls Film are available in different shapes and sizes. 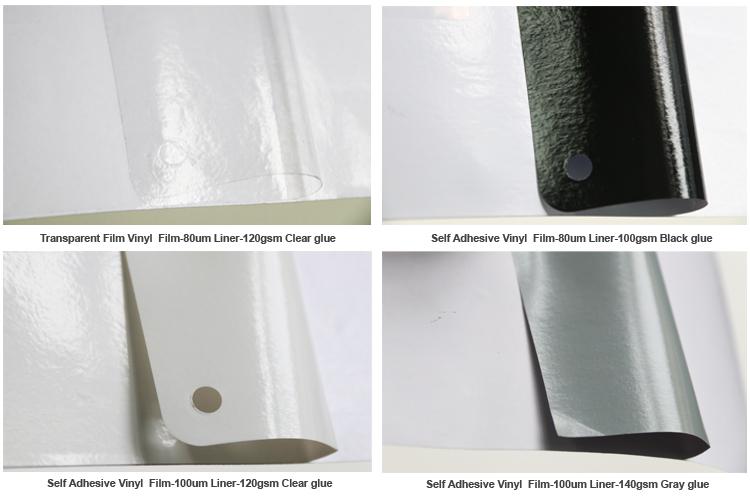 6) Excellent anti-dirty character, good ink absorption, no watermark makes vinyl film makes vinyl film hot sale in the world.